All you need to know about our multivitamin, Keto Essentials! What are the serving suggestions for Keto Essentials? Keto Essentials should be taken daily as a Keto, Paleo and low carb friendly multivitamin. When should I take Keto Essentials? With 4 tablets as one serving size, we recommend that you take two tablets in the morning and the remaining two in the afternoon or evening. How many servings is in one bottle of Keto Essentials? There is 30 servings per bottle which is a total of 120 units. Can I take Keto Essentials on an empty stomach? Yes you can. However, if you experience any nausea please Keto Essentials with a meal. 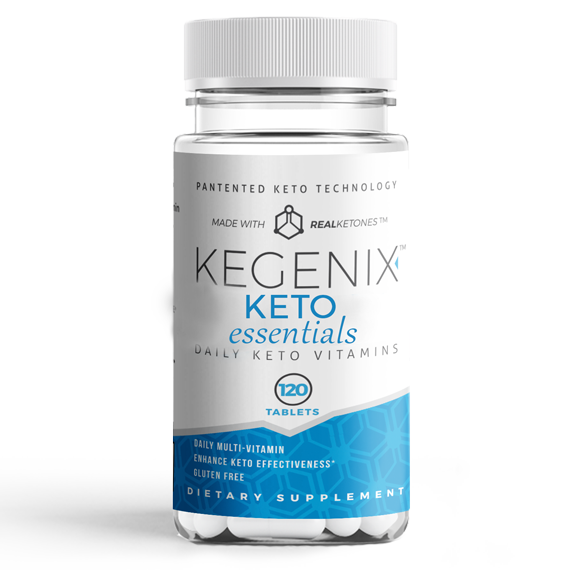 What makes Keto Essentials different from my regular multivitamin? Keto Essentials have all of the key vitamins and minerals needed for any lifestyle, and also have a full suite of the key minerals for supporting Keto, Paleo and low carb lifestyles from our three special function blends – the Cortisol Support Blend, the Amino Blend and the Molecular Support Blend. Are Keto Essential vitamins still beneficial if i'm not 100% ketogenic? Yes, Keto Essentials are beneficial for Paleo, low-carb, Keto, or any life style for that matter. What are the benefits of the Molecular Support Blend in Keto Essentials? This special blend combined together works to support the effective function of your mitochondria and key organs like the brain, heart and lungs. It also supports glucose control and the immune system. What are the benefits of the Cortisol Support Blend in Keto Essentials? The Cortisol Support Blend is rich in Adaptogen Herbs that have been shown to naturally lower high cortisol levels through balancing hormones and reducing inflammation. These herbs are strong antioxidants, having natural antidepressant effects that have been taken for thousands of years to promote better overall health. L-Theanine is known for its calming impact as it acts as a GAGA agonist which also has shown to influence lower cortisol levels as well. What are the benefits of the Amino Blend in Keto Essentials? The Amino Blend includes both BCAA suite for muscle building and 100% of the ketogenic amino acids. Click here to order Keto Essenitlas while supplies last!